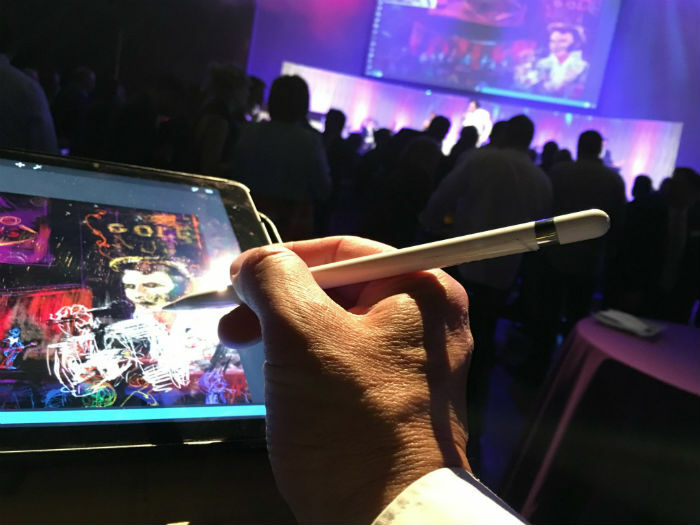 Jeremy’s live digital painting is dynamic and engaging live interactive fine art / high tech entertainment that adds that unique cutting-edge “Wow! !” factor to your special event. 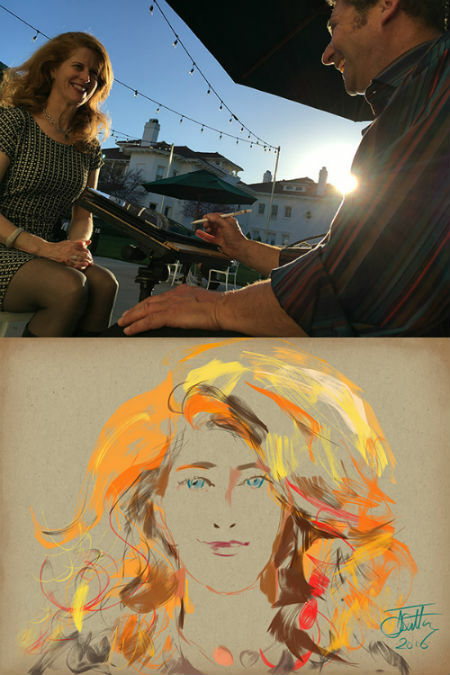 Whether creating live iPad portraits or painting the scene, all guests enjoy watching the creative process unfold. 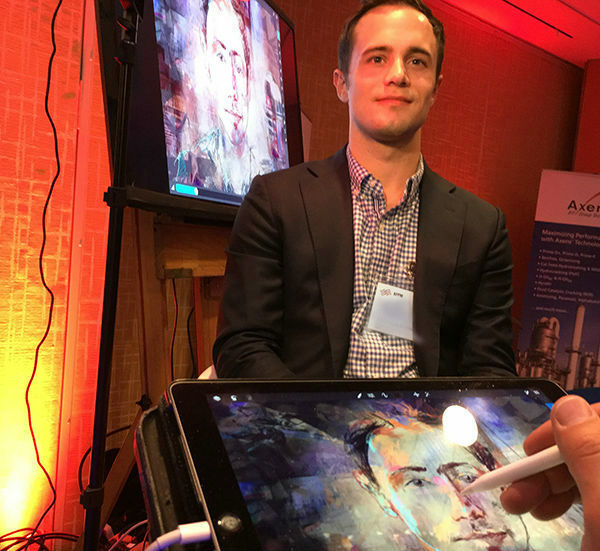 Each iPad portrait takes approximately ten minutes. 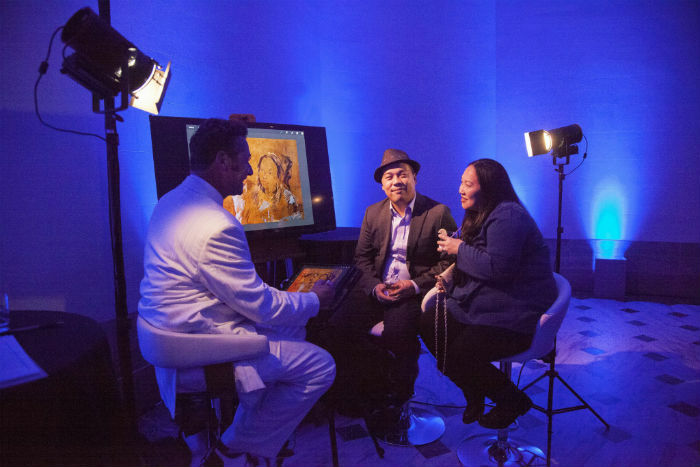 Portrait subjects receive digital files of their completed portrait, plus a time-lapse replay video, that they can immediately share on their social media. London-born artist Jeremy is a digital paint pioneer who has used digital art media for 25+ years, has performed world-wide and written six book on digital art. 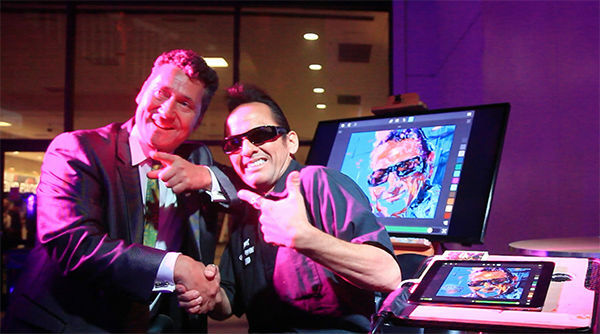 He has performed live digital painting world-wide with many hundreds of clients and institutions over the last twenty years, ranging from the Virgin Atlantic tenth anniversary party in London; and the Cirque du Soleil TOTEM show in San Francisco; to iPad painting at the opening of the De Young Museum’s Hockney show; and at the Smithsonian American Art Museum’s “Innovation in Art” event in Washington D.C.. 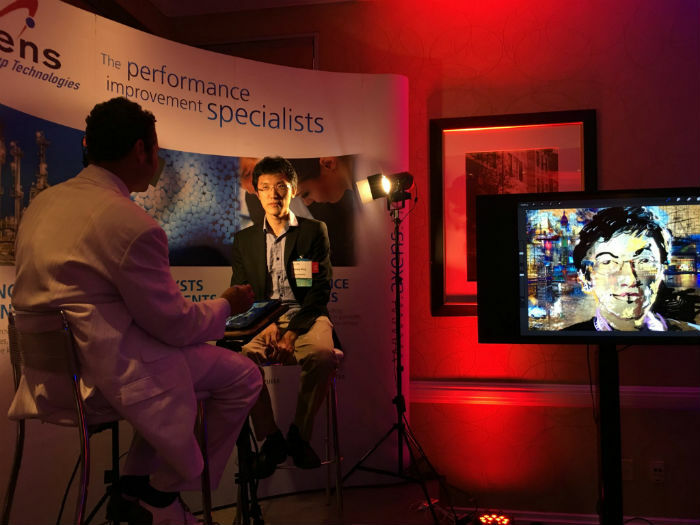 Besides his artistic wizardry on the iPad, Jeremy can also offer unique live art entertainment with other state-of-the-art digital painting technologies such as with Virtual Reality 3D painting; projected light painting and interactive display boards. What a great night that was. Thank you for making that gorgeous painting on the grand wall! – Smithsonian American Art Museum, Washington D.C.